Portland's Breakside Brewery was among the cohort from the US city that travelled to Melbourne for the most recent Good Beer Week. While in Australia, brewer Ben Edmunds joined forces with KAIJU! and the team from The Catfish in putting down a collaboration brew. 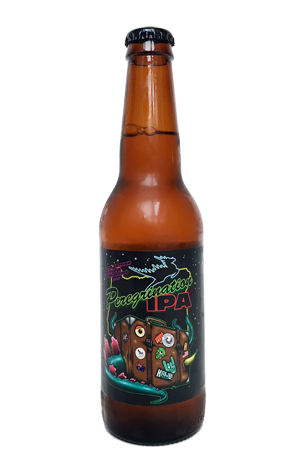 It was a reimagining of his brewery's Wanderlust IPA, a serial medal winner that in its original form is a showcase for hops from Breakside's home region, Northwest USA. For this version, those hops were swapped out for Aussies. The result of the three-way collab is a beer that keeps the malt in the background so it can operate as a hop delivery system. You're first met by stone fruit and tropical aromas, then, once it hits your palate, it skips straight to the hop flavours, steadily enveloping your tongue with more of that fruity, slightly resinous goodness to ensure those hops stick around a while. Essentially, if you're not a fan of Aussie hops, this isn't for you. Otherwise, crack in!